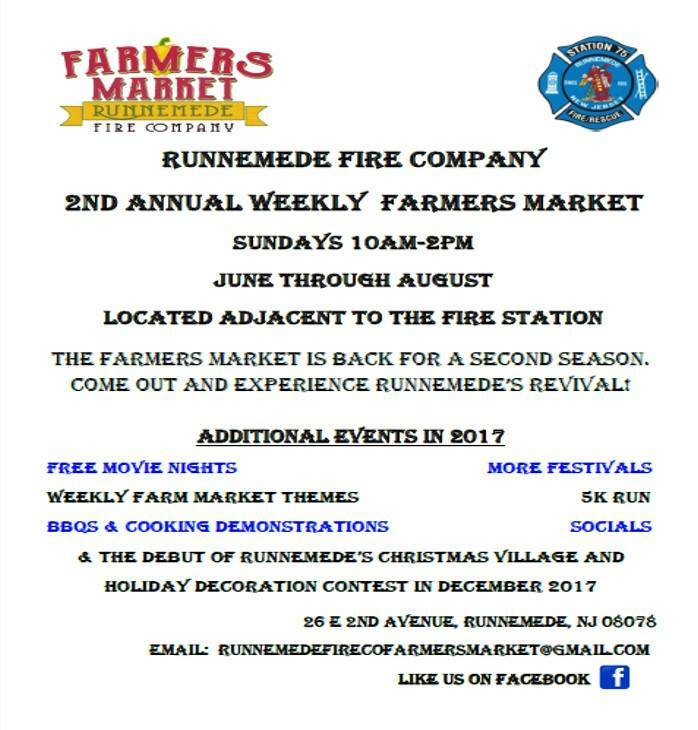 The Runnemede Fire Company Farmers Market is back for a second season, and we are taking the Farmers Market to the next level, with more festivals, weekly themes, and specials events! The 2017 Season starts Sunday, June 4th with the Spring Festival. Interested in being a vendor for the Spring Festival or weekly Farmers Markets? Email runnemedefirecofarmersmarket@gmail.com for details and an application.